Though, Ethernet is more stable in comparison to WiFi. But, still everyone prefer to use an wireless connection. Because, for Ethernet, every time you have to connect cable to your Computer. And, for WiFi you just have to enter WiFi key details once. Well, this article is not about, Which, internet connection is better. In this article, I am going to provide solution for an WiFi issue. That Windows users face, when their WiFi connection doesn’t work. And, network troubleshooter shows this error message – WiFi doesn’t have a valid IP configuration. 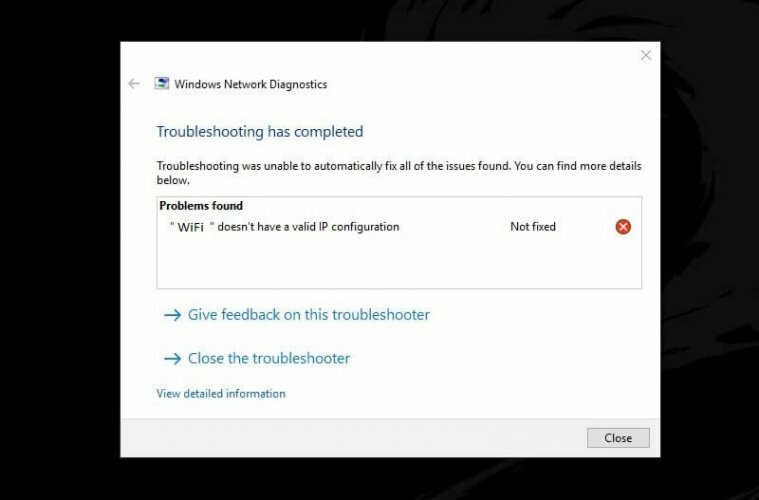 Network Troubleshooter in Windows 10 added to diagnose and fix internet problems. But, there are some issues which network troubleshooter can tell you about. But, It can’t fix those problems itself. And, IP configuration failure is one of them. So, you have to fix this error manually by yourself. And, in this article, I will tell you multiple solutions to fix. Because, there isn’t any specific reason behind this problem. So, you have to try out all solutions. IP address in Computer is a numerical label assigned to each devices connected to a network. That uses Internet Protocol (IP) for communication. And, to get work an WiFi connection. There is an valid IP address required. So, if due to some unwanted changes . If IP address or internet settings got incorrect. Then, this error shows up. Although, sometimes due to faulty or outdated network driver this error message appears. By default, if you’re using dynamic IP address. Then, DHCP does assign IP address, subnet mask and default gateway for network devices. So that the network devices can communicate. DHCP stands for dynamic host configuration protocol. And, if there is an issue with DHCP server, then WiFi connection will face IP address issue. When, this problem occur, you will able to see, a yellow exclamation over WiFi icon. Which clearly indicates problem in your WiFi connection. Note: First, check WiFi connection is working in other devices or not. If WiFi is working in your smartphone. Then only try these solutions. Else, problem is with your WiFi router. In that case, you have to contact internet service provider. Or, you can try some simple troubleshoot solutions like restarting the router. 1 Fix WiFi doesn’t have a valid IP configuration. 1.1 Reinstall WiFi adapter network driver. 1.2 Release / Renew IP Address. 2 Reset & Repair TCP/IP. 2.1 Restart DHCP Client Service. 2.2 Use Dynamic IP Address. Fix WiFi doesn’t have a valid IP configuration. Reinstall WiFi adapter network driver. Device driver is the most important part of an Computer System. 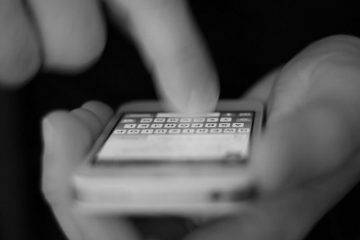 It helps to communicate the devices with the Computer’s Operating System. And, if WiFi driver got outdated or faulty. Then, it creates problem with DHCP server. That is responsible for IP address. So, by reinstalling WiFi adapter. You can solve, WiFi doesn’t have a valid IP configuration. 1.1 Disable and Enable WiFi adapter driver. 1. Press Windows + R key, type devmgmt.msc and press enter. 2. Device manager will get open, now, Expand network adapters section. 3. Right-Click on Wi-Fi Adapter and then click on Disable device option. You will get an warning, click on Yes. 4. After a couple of seconds, again, right click on WiFi adapter. This time click on enable device option. Now, reconnect your WiFi connection. And, hopefully problem will get vanished. If not then try to update or reinstall driver. 1.2 Update or Reinstall Driver. If by disabling and re-enabling the WiFi driver your problem doesn’t get resolved. Then, you have to reinstall latest WiFi network driver. Before uninstalling your current driver. 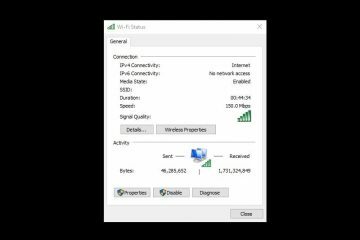 I suggest you to download latest WiFi driver for your network card. If you’re facing this problem in your laptop. Then, go to your laptop manufacturer site. And, by entering your laptop model number. You can get all latest drivers of your laptop. Though, you only need Wireless Adapter Driver. If you can’t able to find out latest driver file from manufacturer site. Then, either you can search for driver name on the internet. Or, you can check for Windows updates. Open Device Manager. Expand network adapters. Right Click on Wi-Fi adapter, and then click on update driver. Click on “search automatically for updated driver software”. And, Windows will tries to search for the latest driver. 2. Right-Click on Wi-Fi Adapter, and, then click on Uninstall Device option. 3. After uninstalling device driver. Restart Windows. 4. After restarting Windows. Install latest driver which you have downloaded from manufacturer site. Release / Renew IP Address. This solution works in almost all kind of IP address related issue. And, WiFi doesn’t have a valid IP configuration problem is related to IP. So, by releasing and renewing IP you can solve this problem also. 1. Click on start button in Windows 10. 2. Search for CMD. Right-Click on Command Prompt, and then click on “Run as administrator” option. 3. Now in command prompt, type these commands one by one. And, press enter after each command. 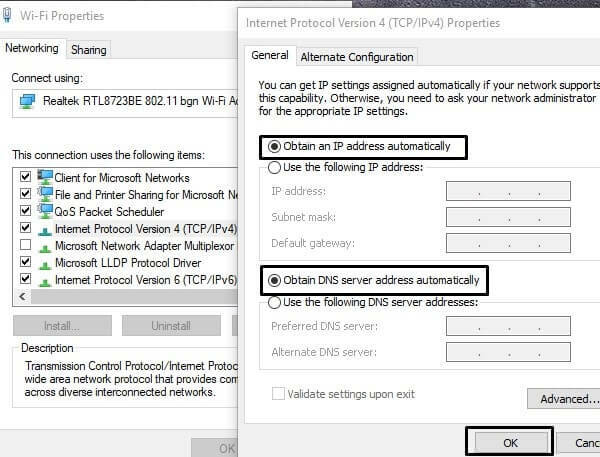 These two commands will help you to renew your IP address using DHCP server. 4. After successfully running these two commands. Type exit and press enter. That’s it. Now, hopefully you will able to use your internet connection again. Transmission control protocol / Internet Protocol is known as TCP/IP. It is an communication suite. Which is used to interconnect network devices over the internet. Overall it manage your internet. So, if something is wrong with the internet, not from the router side. 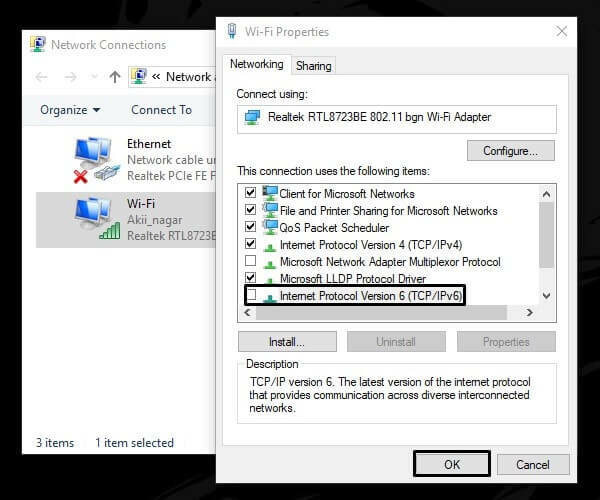 Then, you can reset TCP/IP to fix WiFi doesn’t have a valid IP configuration. Type these three commands one by one. And, press enter after each command. Type netsh int ipv4 reset reset.log press enter. 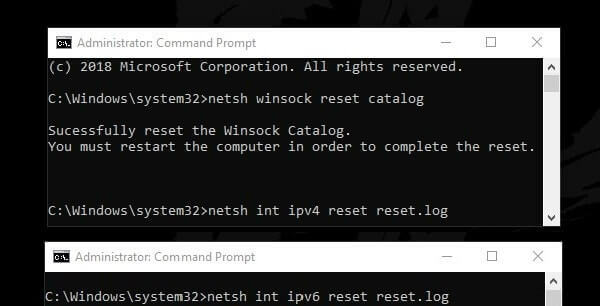 Type netsh int ipv6 reset reset.log press enter. After that, type this command in CMD (Admin). Press enter. And, after resetting TCP/IP, restart your computer to apply changes. As I mentioned above, DHCP server does assign new IP address to network devices. And, if DHCP client got stopped due to some third party services. Then, WiFi doesn’t have a valid IP address problem occur. By restarting DHCP client you can try to resolve this problem. 1. Press Windows + R key simultaneously to open run Window. 2. In Run Window, type services.msc to jump directly into services tab. 3. 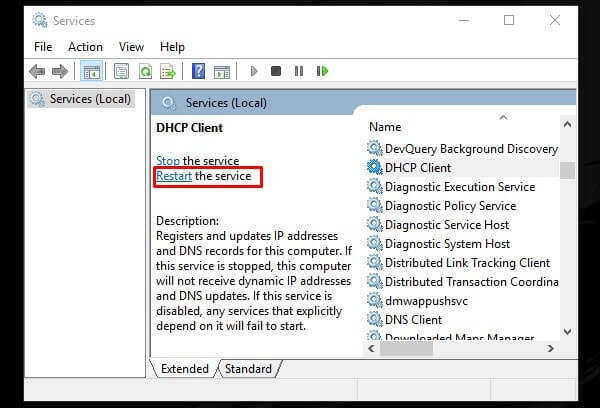 In services Window, look for the DHCP Client. 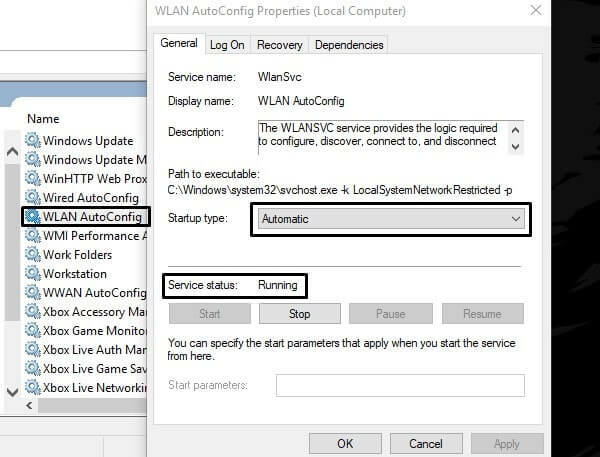 Windows allows to use static and dynamic IP for your network connection. Dynamic IP is does assign by DHCP. After restarting DHCP, it’s time to make sure that, you’re using dynamic IP. Else, getting “WiFi doesn’t have a valid IP configuration” error is common with static IP. 1. Open Run Window, type ncpa.cpl and press enter. (Windows + R key). 2. Right Click on your active WiFi connection. And, then click on properties. 3. Select “Internet Protocol Version 4 (TCP/IPv4)”. And, then click on properties. 4. After that, select “obtain an IP address automatically” option. 5. Click on Advanced button and then make sure DHCP enabled message showing. 6. After that click on OK in all Windows to apply changes. Note: You can also do the same for the IPv6 also. Though, IPv4 is enough. There are two versions of IP, – IPv4 and IPv6. IPv4 uses 32-bit address scheme. And, it is most widely used IP to connect devices on the internet. IPv6 is an evolutionary upgrade uses 128-bit IP address scheme. But still most of the wireless connection creates issue with IPv6. But, works fine with IPv4. So, I suggest you to disable IPv6 to fix this error. 1. Use first two steps of above solution. And, open your WiFi connection properties. 2. In Wi-Fi Properties Window, Scroll down a little bit. And, then unmark “Internet Protocol Version 6 (IPv6)”. And, then click on OK.
That’s it. Now, hopefully “WiFi doesn’t have a valid IP configuration” problem will get resolved. If problem was with IPv6. In Windows there are two services, which is responsible for the Internet connection. First one is Wired AutoConfig. It is used for ethernet connection. And, second is WLANSVC. That is for wireless connection. It does provide logic to configure, discover and connect a WiFi connection. You have to check that this service is running properly, and startup type is set to automatic. 2. Look for WLAN AutoConfig. Now, make sure that it’s status is running. And, startup type is automatic. If not then right click on it and then click on properties. In properties window, you can change startup type, and start the service. 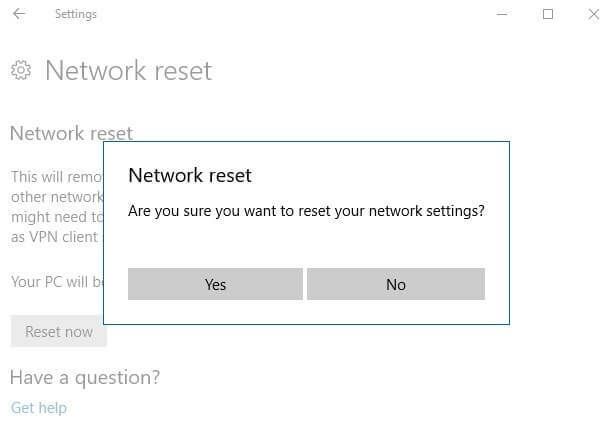 Windows 10 comes with an inbuilt option to reset network settings. This option will set your network settings to default. So, if you have done any unknown changes in past. Then, it will undo all those changes. And, hopefully, WiFi doesn’t have a valid IP Configuration Windows 10 problem will get solved. 2. Click on “Network & Internet”. 3. 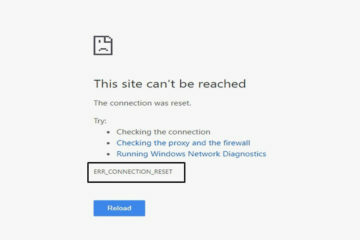 Scroll down a little and then click on “Network Reset” option. 4. Click on “Reset Now” > then click on Yes. IMPORTANT – This problem is similar to “Ethernet doesn’t have a valid IP Configuration“. So, I suggest you to check my previous article written on it. You can apply those same solution on WiFi connection. Which, i mentioned on that article about Ethernet connection. Previous ArticleFan Controller Software, Change Fan Speed on Windows, Mac.